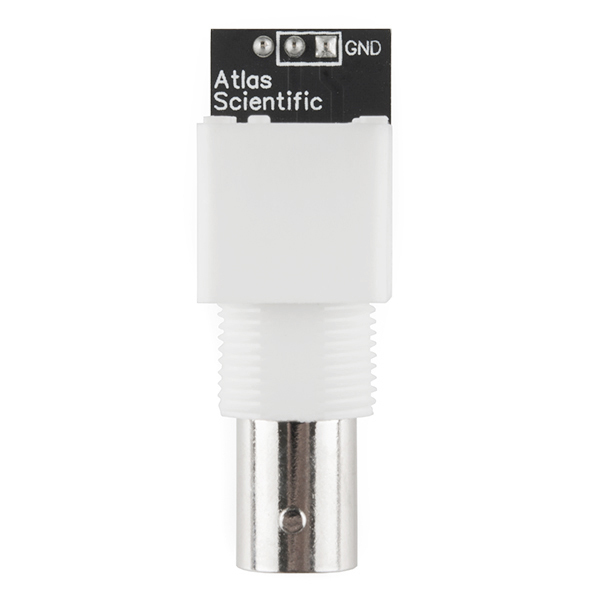 There are basically two easy ways to measure oxygen dissolved in water: You can guess and then insist that you measured it, which has the obvious disadvantage of being wildly inaccurate; or you can just use the Atlas Scientific Dissolved Oxygen Kit. 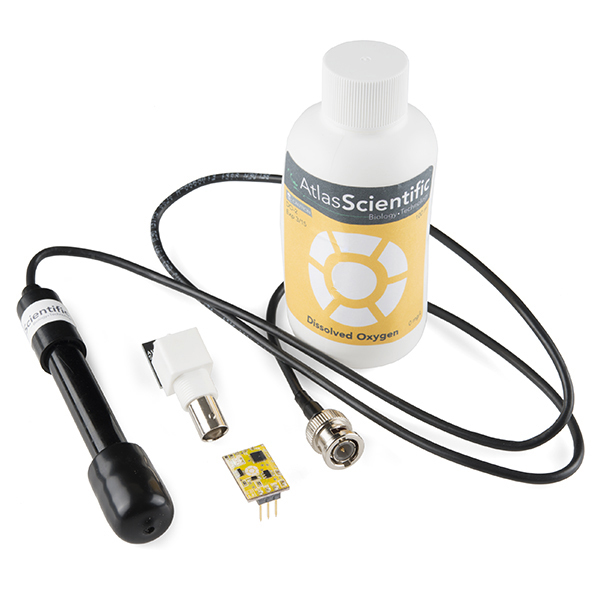 The Dissolved Oxygen Kit comes with everything you need to take accurate, full-range D.O. readings for your environmental monitoring, hydroponics, wine making, fish keeping... well, any project where you need to continuous or intermittent Dissolved Oxygen readings. There's a simple 5-second calibration that is required before you can deploy the probe (calibration solution is included with the kit) and it can be immersed and operating continuously for 12 months before recalibration is recommended! The Dissolved Oxygen circuit returns data in the form of Mg/L to two significant figures. Readings can be taken either dependent or independently of temperature or conductivity and the probe will function correctly in fresh-, salt- or brackish water. Two things I have found out. Firstly, the specimen code tries to set the baud rate to 13400. This does not seem to work, but 9600 does. Secondly, the calibration command should be CAL and not Cal (it appears to be case sensitive). Can this probe be left underwater for long periods of time for monitoring farm fish tanks? 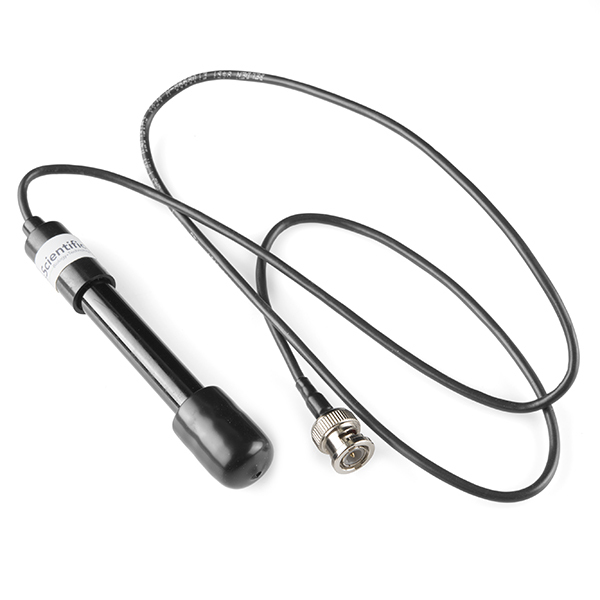 This Dissolvd Oxygen Probe can be fully submerged in fresh water or salt water, up to the BNC connector indefinitely. 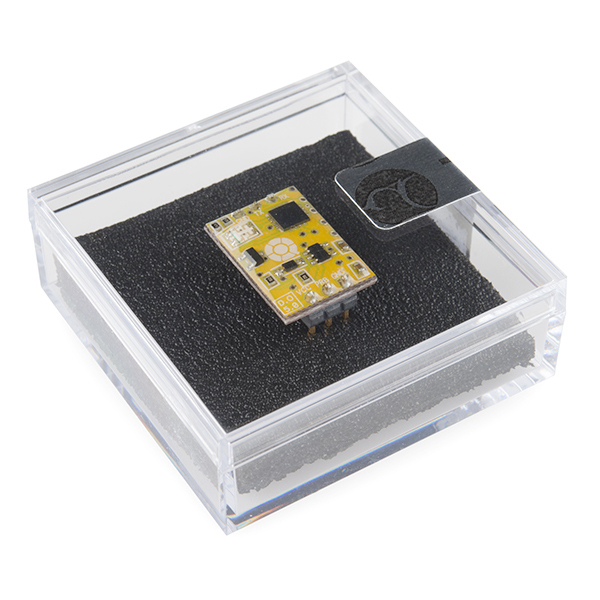 Do you have the I2C version for sale? 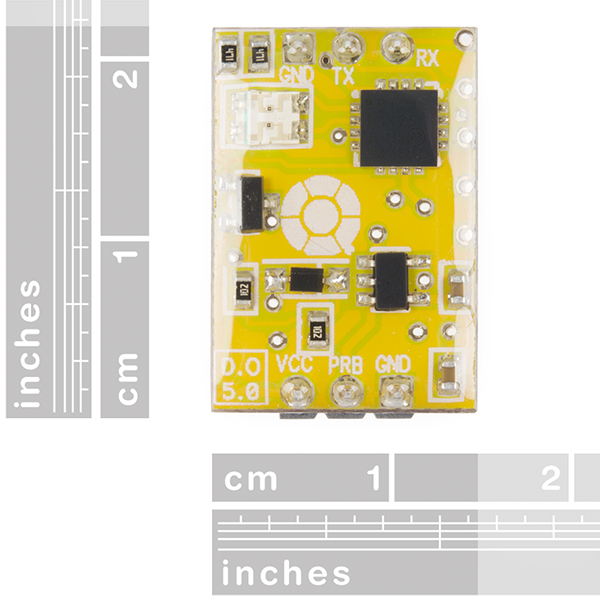 Pictures have the UART version. Probably the Pt. These function partially by reducing (adding electrons to) oxygen. Even platinum has a rather large overpotential for reducing oxygen, around half a volt. For hydrogen, the overpotential (for oxidation at a platinum electrode) is maybe a tenth of that. A good oxygen reduction catalyst would improve the efficiency of hydrogen fuel cells a lot. Electrochemistry can be pretty vexing, and hence, expensive. Hi. I would want to know if the oxygen dissolved probe is based on an optical sensor. thanks. Will this function with Wine? Why is the output in megagrams per liter? That's milligrams / Liter or ppm. And it's only to two sigfigs? That will just show up as zero all the time in my application! Can the probe be continuously submerged in sea water for long periods (more than 1 year)? What's the electric parameter to read in the DO sensor? What's the range of that parameter? How can i avail this? im from the philippines. Contact our customer service team and they should be able to assist you further. 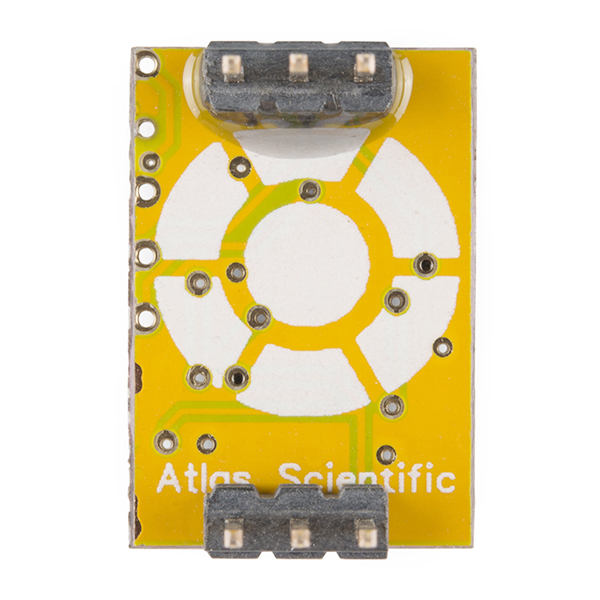 What are the dimensions for the Atlas sensors? Any idea if this would be able to detect the level of O3 (ozone) dissolved in water?